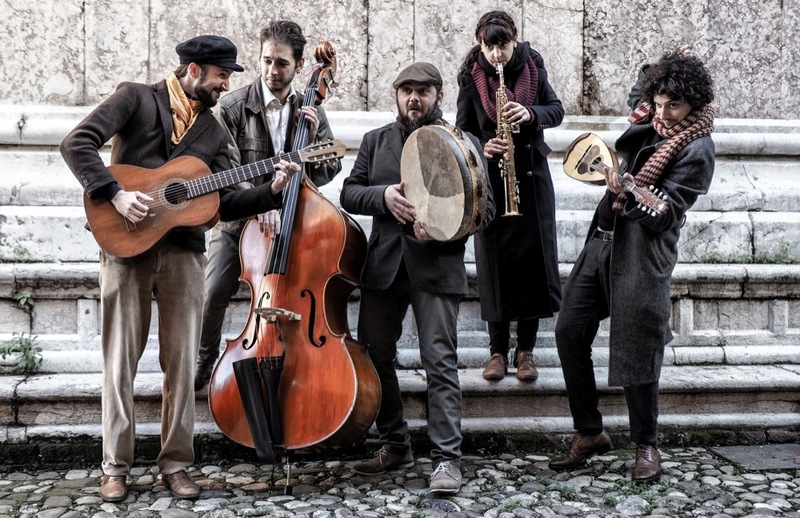 Lame da Barba is an instrumental project that mixes tarantella, valzer and traditional sounds of Italy with music of cultures all around the Mediterranean Sea, from Greece to Balkans, From Turkey to North Africa, with original compositions and arrangements. Mandolin is also the famous instrument of serenades. It was generally learned and played inside barber shops, with a repertoire that Lame da Barba used to create a unique style. The band is made up of mandolin, guitar, clarinet or saxophone, doublebass and frame drums. The band started by playing on the streets from Bologna to Sicily. Later they kept playing all around the nation in festivals and theatres.The cure for melody and hypnotic rhythms are the tipical skills of Lame da Barba’s live music, perfectly mixing music for listening with dancing beat.